What Is Pinterest "How To Get Started" "Get Free Invitations"
Most of the users are getting annoyed from Facebook because of its newly introduced interface named "Facebook Timeline".The situation got more worse when Facebook forcefully applied Timeline on Profile/Fan Pages.Now we all are very curious about the future of Facebook. Will the Facebook addicts would continue to use it our they will discover its alternative? In your eyes what are the options which we could choose? No doubt Google Plus is the most top competitor.But when we search till the roots, we found another opponent who is ready to rule the world of social networking.This challenger was launched on 10 March 2011. 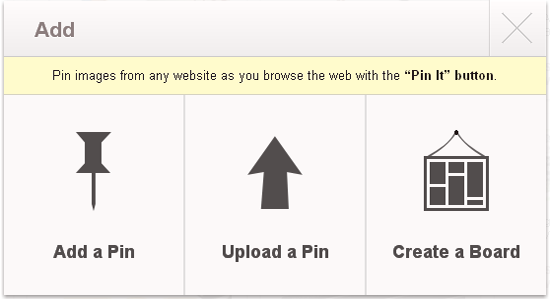 Yes,you are right i am talking about the first online pin board i.e."Pinterest". Pinterest is the most used social networking website for the year 2011 and in just few years has overtaken well established social networking websites like digg ,stumbleupon by a long margin.Are you still wasting your time in digging or Stumbleupon? If you are,then its time to just starts pinning with Pinterest.With the 11.7 million unique users and 50 million blog posts it has become the best social networking website of the year 2012 this is the reason why it has been awarded with the best new startup of 2011 by technology giant. 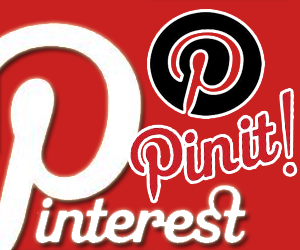 Pinterest is another social networking website which allows its users to share, organize and discover by pinning images, videos or content to Pinboards.Users can either upload images and videos from there computer or they can use preexisting content from internet by using Pin It Button. 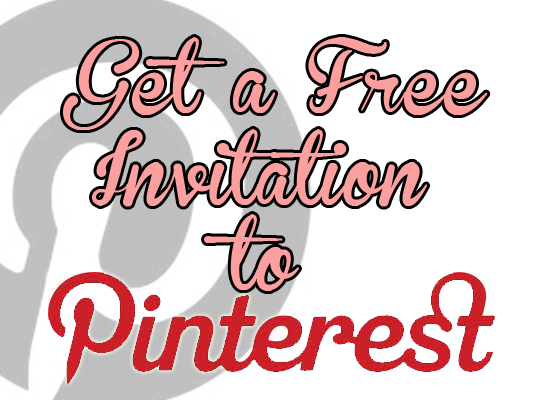 If you are unable to get an invitation From Pinterest don't worry.Leave your Gmail address in comment below and we will send you a free invitation to Pinterest. 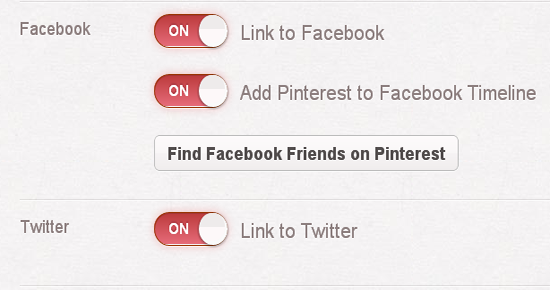 Another exciting feature of Pinterest is Linking our Facebook and Twitter account to Pinterest.It allows you to find your friend on Facebook and Twitter so you can easily invite them to Pinterest, if you like a pin you can easily share it to Facebook or even tweet it to Twitter.Pinterest is well aware of your basic need that's why it flying high. If you want,you can un link you Facebook or twitter account any time. So in coming up posts,I will guide you how you can use Pinterest to promote your blog and driving traffic.It will be better for you to learn more quickly if we keep that topic separated from this post.We will also add a "PIN IT" widget to our blog just like "Google's +1" and "Facebook's Like".So today's post was the basic guideline and a introduction to the 2012's most appealing social networking website Pinterest. After reading the post,what you are thinking? It is a time to say good bye to Facebook and welcome "Pinterest". Would "Pin it" Button will kick off the "Like Button"? All of these confusing question would be answered in coming months. Go to this link, and get free invite within 24 hours! 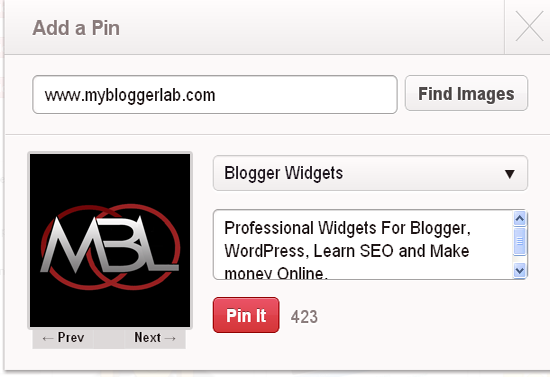 Now You can Even Love MyBloggerLab As your invitation is sent Check your email and enjoy pinning.Peace and Blessings. hey do u have anymore invitation to spare? Would love an invitation... thanks in advance! Can someone please invite me? I joined the pinterest waiting list but it's taking forever. PLEASE PLEASE PLEASE I need an invite!!! Hi! Please send me an invitation. Many thanks. Can someone please invite me? Hi Syed ! Could you also send me an invite please ? Again...a big thanku 4 that.. Syed ! jessie.widener99@gmail.com Please send me an invitation! i've been asking for one since december! hey can i have an invite please?? aalderman8@comcast.net i'd appreciate it a bunch!! Dear Faizan I want to know How Much People Working with you?